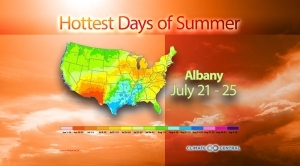 Check out when peak heat generally hits for a variety of cities across the U.S. 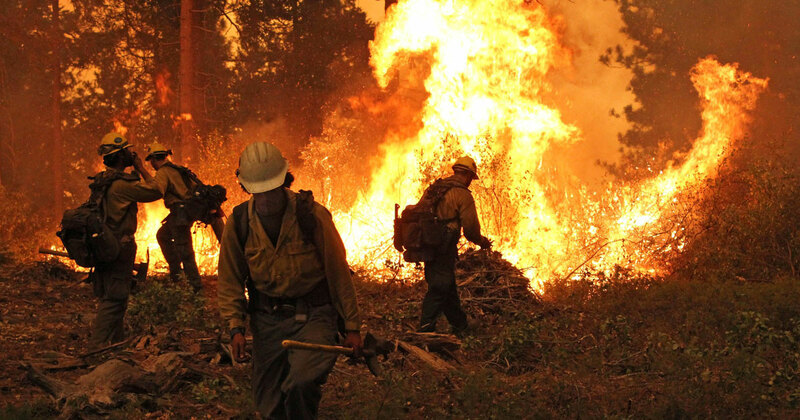 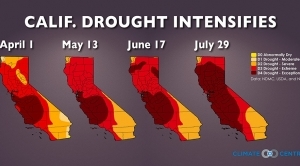 The relentless heat that has plagued the western half of the country this summer has ratcheted up California’s terrible drought once again. 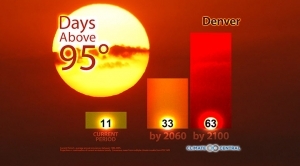 “Hot days” are likely to happen much more often if we continue to pump CO2 into the atmosphere. 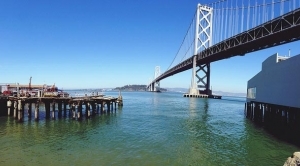 Northern California residents, many from low-income and minority communities, will bear the brunt of sea level rise. 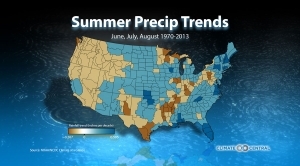 When it comes to summertime precip., the wet are getting wetter and the dry are getting drier. 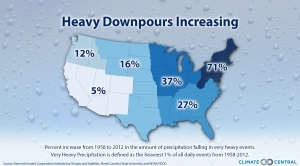 Heavy downpours have increased in every region of the contiguous states since 1950. 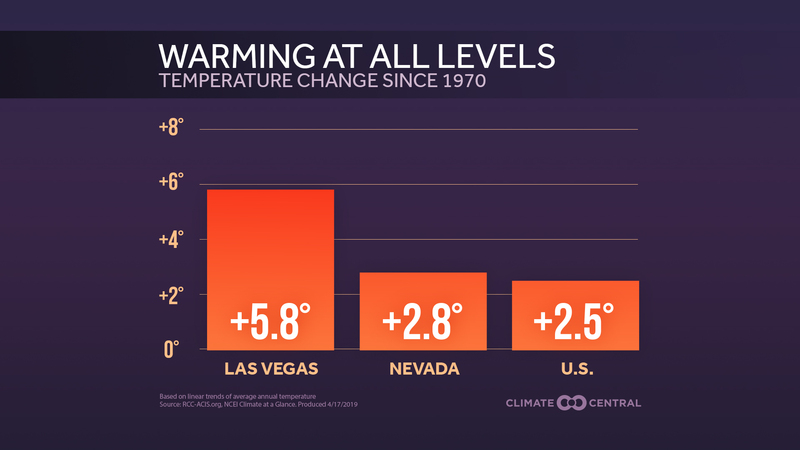 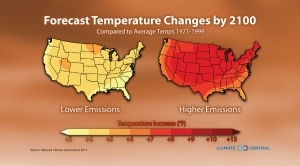 A look at how U.S. temperatures are projected to change, according to the Third National Climate Assessment released May 6, 2014. 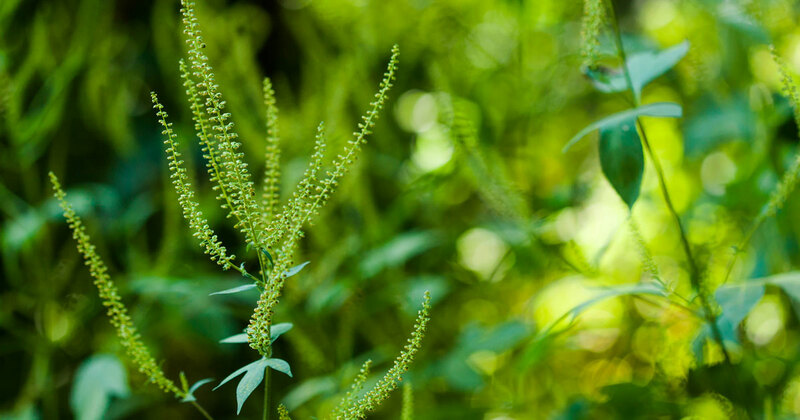 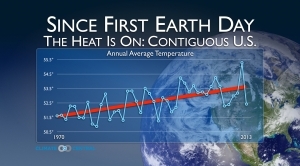 The contiguous U.S. has warmed 2.1°F since the first Earth Day in 1970.